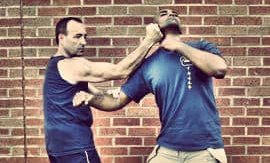 Kleber started training WSLVT in 2001 and since 2009, he has studied Practical Wing Chun under Sifu Wan Kam Leung. 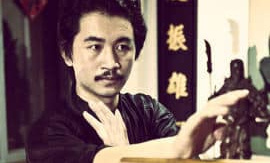 At present, he is teaching Practical Wing Chun in Shanghai. 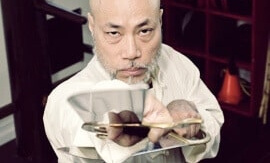 BROUGHT TO MARTIAL ARTS AT A YOUNG AGE AND EXPOSED TO DIFFERENT WING CHUN STYLES, NOWADAYS, SIFU D’ANGELO TEACHES A UNIQUE APPROACH TO THE ART, WHICH HE HAS ENRICHED WITH HIS COMPREHENSIVE RESEARCH INTO THE INTERNAL STYLES IN CHINA. Tell us a little about your martial arts journey. I started my Gung Fu journey when I was eight, and since then I have dedicated my life to martial arts. I started teaching professionally at the age of 17. In Wing Chun, I had experiences with the Lok Yiu, Lee Shing and Wong Shun Leung lineages, and I’m still continuing my research in China, where I live today. I have always been attracted to internal styles and I’ve studied Taijiquan while travelling the world to find the most relevant master of this art. 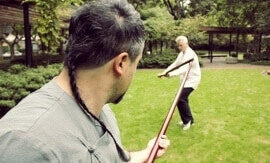 For the past 10 years, I’ve dedicated a lot of the time on the study of Baguazhang. 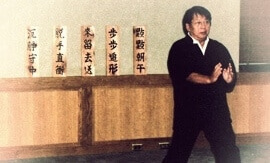 With Wing Chun being a Taoist style, the main core is about “Changing”. Being confident with “Change” is the best way to find new solutions to different problems. However, in order to do so, you have to eliminate tensions in your mind and body in order to apply those in your life and in real fighting situations. What should you emphasise when practising Chi Sau? 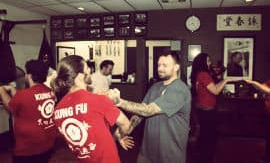 Chi Sau is an exercise to develop specific skills and shouldn’t be confused with fighting. 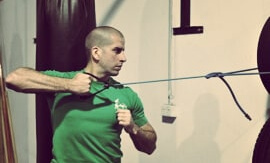 It develops the management of the body, increases the ability to feel and control pressure, and helps to develop confidence in close-range combat. Chi Sau is an opportunity to become aware of problems since each practitioner has different approaches to this “game”. That’s why it’s important that you train with different people. Contrary to what many believe, Wing Chun is not the only system that has this kind of sensibility training. In fact, many styles such as Taijiquan, Baguazhang, Xingyi and Yiquan have similar training. That is why I started researching those systems a long time ago. Can you explain your understanding of the empty-hand forms in the system? What do they relate to and how important are they? 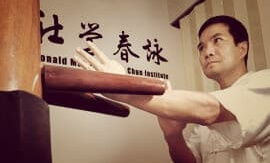 Contrary to the traditional approach to forms in other styles that combine the body training and absorption of principle in their forms, the Wing Chun empty-hand forms are pure theoretical compendiums that clearly identify the postural and technical aspects of the system. 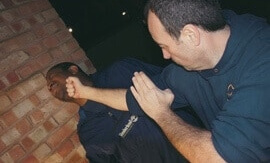 This fact has misled some people into believing that Wing Chun doesn’t require physical improvement because there is no single technique or principle that can be applied without a body or mind to support it. 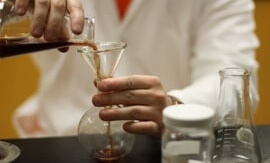 This can be compared to the making of a musical instrument. After we made it, we have to learn how to play it. Learning how to “play” is the real core of Wing Chun. What do you believe to be the most important geometry in Wing Chun? I believe that the geometrical aspects are only the beginning point of the study of any martial art. Initially, when you learn how to move, you need references to develop basic physical feelings. For example, the triangular structure helps you to protect the centre and dissipate your opponent’s power. The spiral lines help you to guide your own power into your opponent’s structure and to regain the centreline while your opponent moves you away from it. Also, the circular geometry is a good reference point to understand the connection between shoulders, elbows, and wrists and between waist, knees and ankles. It also helps to connect the body in a spherical way. Having experienced many different Chinese styles, do you believe Wing Chun to be an effective art? This is a very common question that many beginners ask. They sometimes go as far as asking me if I believe Wing Chun to be better then other martial styles. I believe it’s important to distinguish the effectiveness of a system from its completeness. 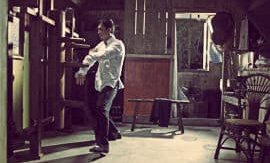 If we sit and discuss the theory of Wing Chun and Western Boxing, then yes, Wing Chun as a system will be more complete compared to Boxing, because Wing Chun utilise arms and legs and it has many different strategies while Boxing uses fewer techniques for managing space and distance. But how many times haven’t real fight scenarios shown, that it’s the practitioner that makes the difference—not the system utilised. A gun is surely a more lethal weapon compared to a knife, but it naturally depends who’s using it and in what kind of context is it being used. What do you believe to be the main reason for studying martial arts in modern days? My reasons have changed through the years. When I was younger, I practised getting rid of my anger. When I became a teenager, I did it to develop my physical abilities and the aesthetic aspects of martial arts. Then I focused on the fighting approach. Nowadays, I find myself researching many different topics like anatomy, philosophy, military strategy and biology, and my way of training has completely changed. I believe the reason why someone should study martial arts can be the sum up of all those reasons. 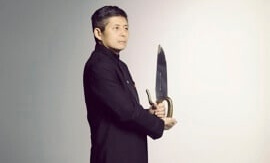 Martial arts are an instrument that helps you to recognise yourself and manage your emotional side and it puts you face-to-face with violence and the desire of submission that, unfortunately, our western society has instilled in all of us. And you can get so deeply in touch with those feelings that you will be able to get rid of them. In time, the martial arts have become support systems to develop the quality of the mind and the human potential. “Technique over Power” is a highly used slogan but very few can “walk the walk”. Do you believe Wing Chun lacks some important fighting ingredients? I would like, instead, to create a different slogan: “Power comes from Technique”. I believe that everything centres on the ability to generate power. Power is created from two main aspects: one is the technical while the other is about the physical characteristic (weight, height, and body structure). 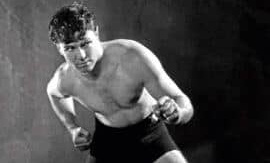 So, if I can generate the same amount of power as someone three times my weight, with a penetrating power notably superior, this means I learned how to use my body much better than my opponent. I believe that the limits are not to be found in the system but in the limited understanding of the people who practice it. In the end, fighting is only a bit more than throwing a single punch. Do you believe that Wing Chun needs internal development to be effective? 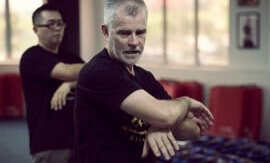 It’s impossible to not utilise the principle and the movement dynamics found in the internal styles, also because they completely match with the theories I learned on my Wing Chun journey. 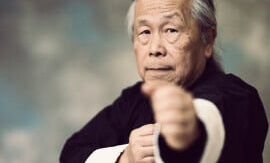 Wing Chun is a synthesis system, and whoever created it had vast experience in martial arts. Comparing it to reading a book on martial arts, Wing Chun will be like reading a summary of it, which contains the main contents, but the principles are hidden and not simply manifested. For example, the basic stances of Wing Chun are less intuitive, and initially, it’s not easy to generate power and stability. However, since I had experience in other styles, it helped me to understand how to obtain rooting and to be able to generate power using a modern position. How could you really throw an inch punch that is the pure synthesis of a punch, without having had any experience of throwing standard punches? Often, I hear people talking of economy of motion, but to talk about it, you first have to understand movement in its entirety. 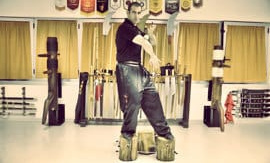 So even if the final result of Wing Chun is a spare movement, I believe that a Wing Chun expert should have great physical abilities in regards to body management. I’m strongly disagreeing with those who try to promote Wing Chun as a method that doesn’t require physical abilities.